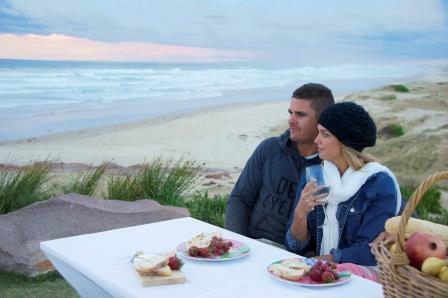 With winter just around the corner it is time to book you winter holiday special Port Stephens NSW. The Retreat has a very special offer this winter which is amazing value for everyone. Enjoy an extended weekend or have a midweek getaway taking in the beauty and sites that Port Stephens has to offer. As part of this package you receive 3 nights accommodation in a 2 bedroom self contained cabin including all linen. Use of all the facilities in the park including covered BBQ areas with camp fires, games room, kids play ground and walking access to the sand dunes. Crest Birubi Beach is a beautiful cafe located at Birubi Beach Surf club. Over looking a 32km stretch of beach and sand dunes this is truly a sensational view. Included in the package is a $15 voucher for each guest for either breakfast or lunch to take in the amazing view. Enjoy the peaceful bush surrounds of The Retreat this winter with the beautiful camp fires of an evening.